Sadiq has been in active legal practice for over fifteen years. He holds a Master of Laws (LLM) degree in Commercial and Environmental Law from the University of Lagos, Lagos, Nigeria. He is a member of the Nigerian Bar Association and the Chartered Institute of Arbitrators, UK, Nigeria Chapter. Sadiq is a Partner in the Dispute Resolution Practice Group of the firm. He has extensive experience as a trial and appellate lawyer in all Nigerian Courts and Tribunals in disputes spanning different areas, including oil spill and other environmental damage claims, criminal & commercial litigation, arbitration, and other alternative dispute resolution techniques. He advises and represents a number of high profile multinational clients in the Oil and Gas, Telecommunication, Information Technology, and public sectors on diverse areas of law. Since joining the firm Sadiq has been involved in various transactions, spanning different areas of law practice, including advisory, regulatory and compliance issues, and trials, where he has earned a reputation as a dogged and proficient advocate. Representing a foremost, world-class American Information Technology Company in multimillion naira claims before the High Courts of Lagos and Edo States over claims for damages for alleged publication or republication of alleged defamatory contents by a third-party blogger, and through the company’s blogger service and web search facility. Representing a multinational Energy Trading Company involved in midstream and downstream sectors of the Nigerian Oil & Gas industry in a multimillion dollar claim for an alleged breach of an agreement to pay agency or facilitation fee for an alleged brokerage of a joint venture between the Company and a third party. Representing an IOC in judicial proceedings before the Federal High Court and the Court of Appeal in respect of a claim for the nullification or cancellation of the award of a multibillion dollar FPSO Contract awarded in respect of the client’s Egina Oil Field, on the allegation that the award was in violation of the Freedom of Information Act and the Local Content Act. Representing two Nigerian companies in the upstream sector of the Nigerian Oil & Gas industry in a multimillion dollar claim in an action for judicial review they instituted at the Federal High Court, Abuja, against the Nigerian Investment Promotion Commission (NIPC) and the Federal Inland Revenue Service for seeking to retroactively reduce the term of pioneer status of five years the NIPC previously granted the companies to two years. 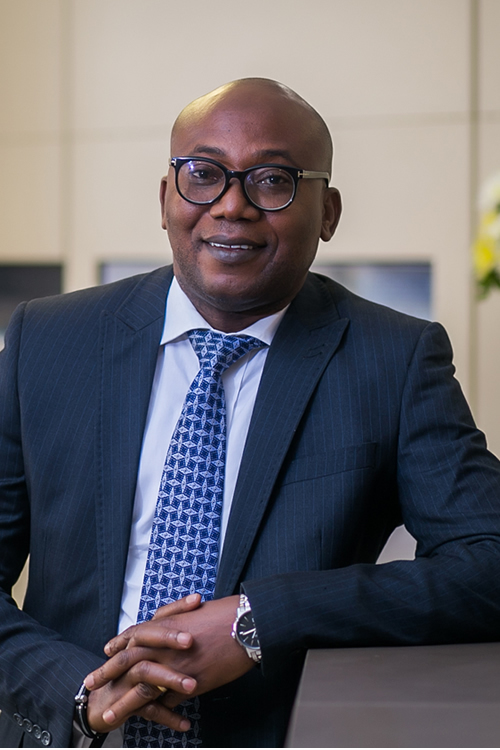 Played a prominent role in successfully defending two multinational companies involved in promotional services in the Nigerian Telecommunication sector and a multi-asset emerging market investments respectively, over a multibillion naira claim arising from an alleged breach, and inducement of the breach of the non-circumvention and exclusivity provisions of the multinational’s contract with a third party. Successfully represented a leading multinational power company involved in developing and acquisition of Independent Power Plants across Africa in a dispute before the High Court of Edo State, Benin, over payments of compensation for lands compulsorily acquired by the Edo State Government (ESG) in furtherance of a joint partnership between the multinational and ESG for the development of a National Integrated Power Project within the State. A key member of the team that advised a subsidiary of an American Company in a potential arbitration dispute relating to the applicability or enforceability of an exemption clause (excluding any liability for indirect, special or consequential damages), provided for under the Escravos Gas-to-Liquids contract it entered into with a multinational Oil Company and a National Oil Corporation for the construction of on-shore facilities in relation to a substantial Gas to Liquids projects in the Niger Delta Area of Nigeria. Actively participated in the representation and defence of an IOC in several lawsuits brought against it by various individuals and communities in the Niger Delta region and Lagos arising from a rupture in the Idoho oil pipeline resulting in the spill of over 40,000 barrels of crude oil. Successfully represented the Independent National Electoral Commission (INEC) in various election petition matters at the Election Petition Tribunal and the Court of Appeal by obtaining judgments dismissing the petitions. Actively participated in the successful defence and acquittal of an indigent defendant charged with the offence of murder at the High Court of Edo State, Benin notwithstanding the incriminating admissions made by the defendant in an extrajudicial statement relied upon by the prosecution.